Simple Scrapper Blog Hop and Giveaway! Hey everyone! 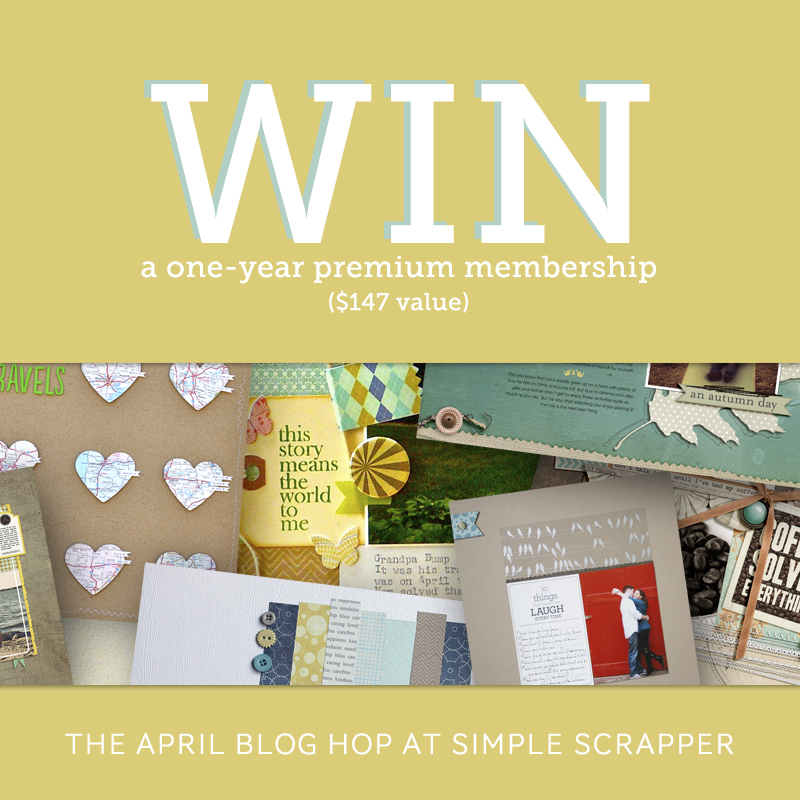 We are just on the blog hop train lately, and this one also has a giveaway! I wanted to share my layouts from this month which both mean a lot to me. Both my layouts this month used sketches from the collection. This first page is of my sweet new niece, who is now over a month old. But when I got to talk these pictures she was just days old and spent hours sleeping quietly in my arms. A gift I couldn't pay enough for. I used lots of my stash for this page and wanted to keep a pink theme going on. I used gold and pink mist on the background as well. This page was made with both the sketches and the story starters. My uncle, Kevin took this picture of my grandmother's gravestone. I was very close to my grandmother and still get sad thinking about how much I would love to have her here with us still. The story starters are one of my FAVORITE parts of Simple Scrapper, each month they make me think about things I might now have scrapbooked and help me put more journaling on my pages. winners will be selected. To be eligible, you must enter by 11:59pm CDT on Friday, April 5. Don't forget to visit the other blogs on the hop for some awesome inspiration! of sketch templates and Story Starters, story-focused prompts for pages and projects. Beautiful layout of a baby, love the color and stampped dates. 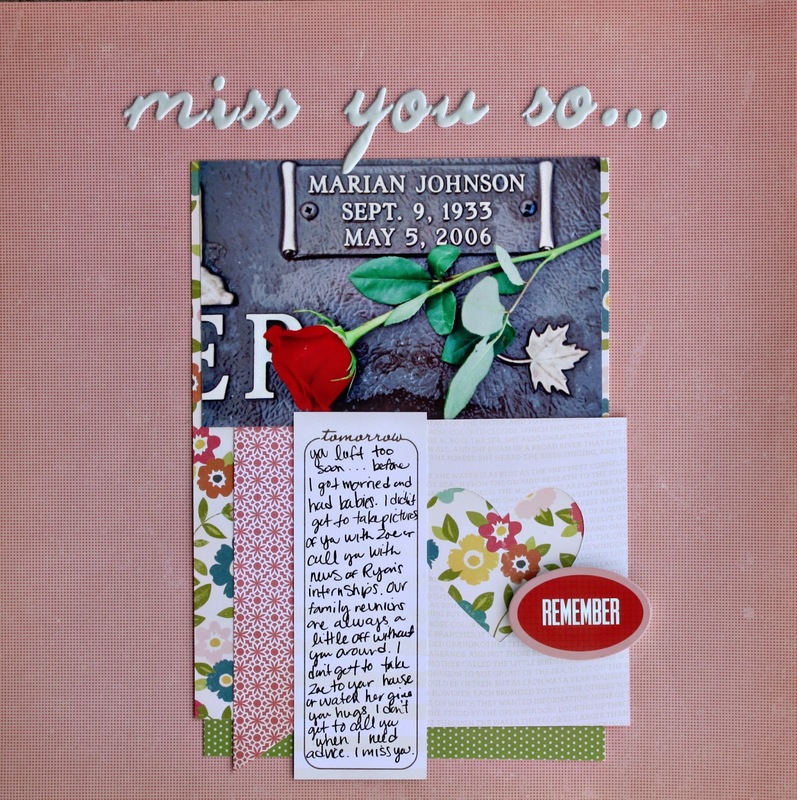 Second layout, the journal is very touching. Scrapping about your feeling is very beautiful.